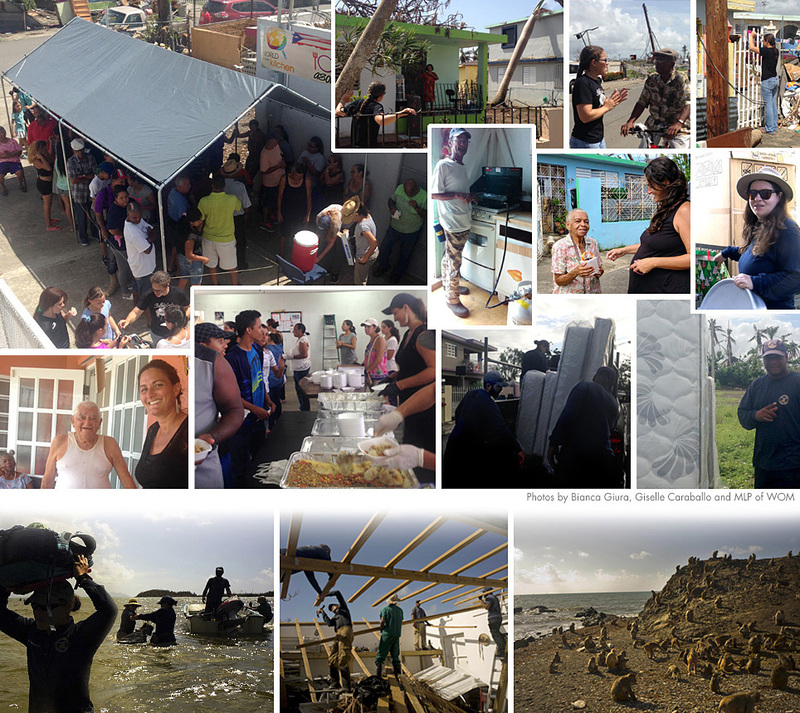 Throughout the years the field station has always been a supportive part of the community, but after the hurricane, the station and its dedicated staff have become the main hub where the community is able to meet, get supplies, use their generator’s electricity, and even get a shower every now and then. This was the team’s home base while they worked in Punta. 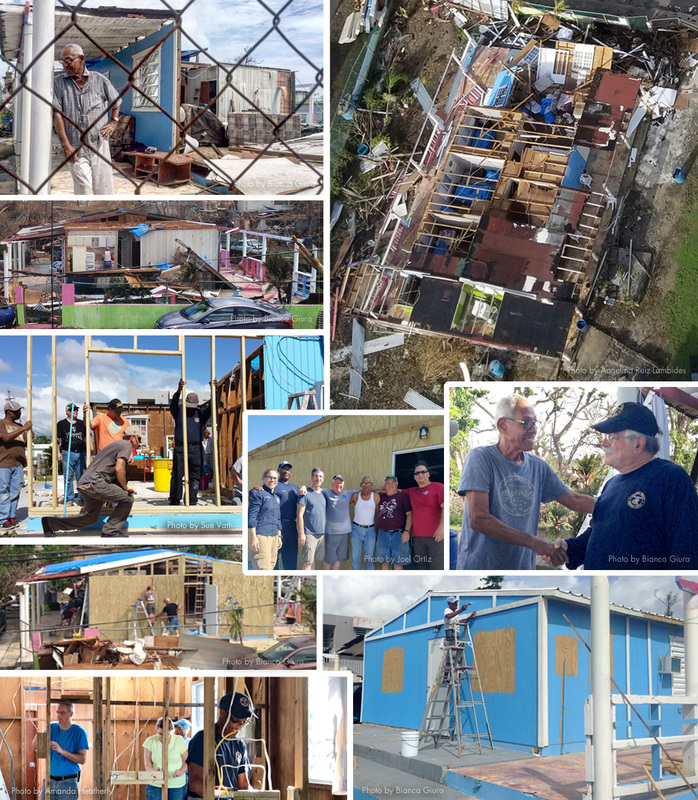 In addition to organizing the restoration projects within the community or delivering new beds, appliances and supplies, this amazing staff has also been working tirelessly on Cayo Santiago, urgently trying to rebuild the water collection systems and tending to the needs of the now fragile island. IPS is now organizing its second team of volunteers to go back to #PuntaSantiago in April 2018. We hope to return as many times as it takes to help Punta Santiago rebuild their community as well as Cayo Santiago’s infrastructure. You can help, visit the #ProjectMonkeyIsland website and donate, volunteer or sponsor. Marie, 84, is landlord to visiting CPRC researchers. During Hurricane Maria, she and her six dogs were trapped when the storm surge raged in, moving her furniture and blocking her exits. She was rescued by her friend’s husband who was finally able to open the door. In addition to many uprooted and blown over trees, Marie’s home and trailer she rents out to the researchers suffered severe flood damage. The trailer also was damaged by a 1200 lb. block wall that came through the side of one of the bedrooms. 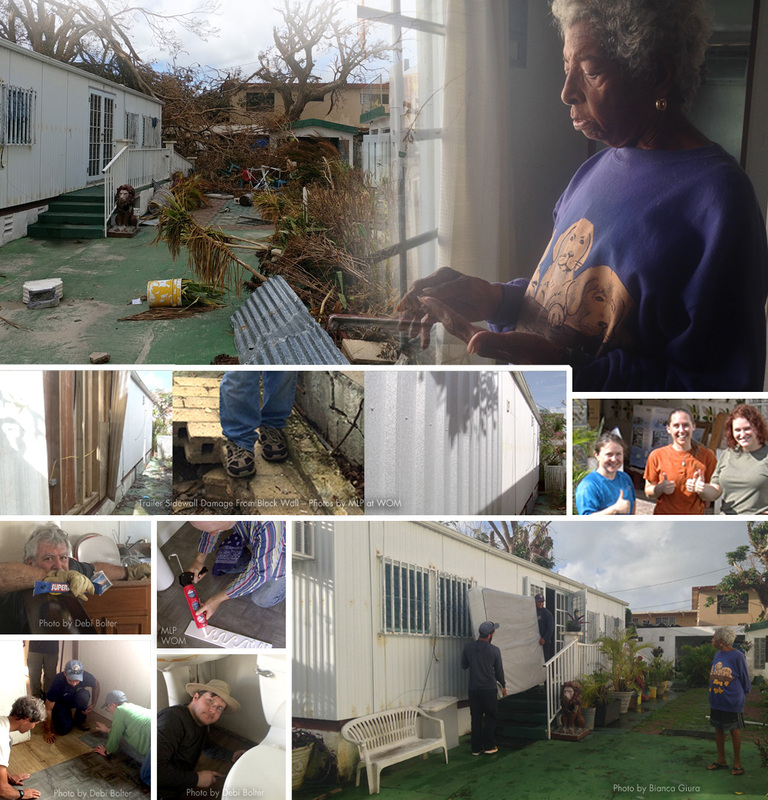 The CPRC and #ProjectMonkeyIsland volunteers provided labor and materials to repair and paint her trailer. The project was also able to replace the mattresses and box springs, the stove, refrigerator, some plumbing and flooring. They also painted Marie’s other rental property reserved for the CPRC. Retired construction worker Frankie, 72, and his wife Prabha, also 72 and a retired science teacher, returned to Punta Santiago to find their home totally destroyed. The ocean had come inland with a vengeance, wreaking havoc in its wake. Their house suffered extensive structural damage and part of the roof was blown off. The first floor had black mold, salt water and sargasso up to the windowsills. The refrigerator ended up on top of the kitchen counter. All the furniture, mattresses, wooden walls, closets, cabinets and all their contents, kitchen and bathroom fixtures, generator, washer and dryer, were destroyed and rusted through due to the salt water. Their two year old car was rendered “totaled” after being submerged in the storm’s surge. Their other car can be repaired, but since there is no power yet, it waits to be fixed. 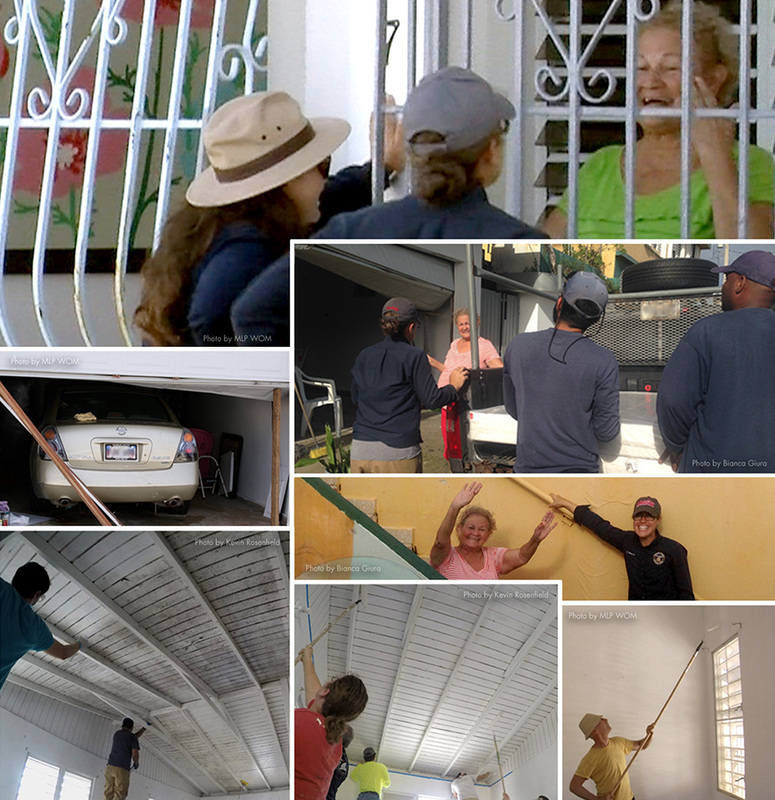 The CPRC and IPS’s Project Monkey Island Team helped remove debris, assisted in structural repairs, and cleaned and painted the interior of the home. Born and raised in #PuntaSantiago, Myrtha, 74, has been a long-time gracious hostess for the Caribbean Primate Research Center’s visiting researchers. During #HurricaneMaria, her own home was flooded and her rental home had extensive roof damage. Storm surges crushed open her garage. Her vehicles, both less than five years old, were submerged in ocean water and destroyed. The CPRC and IPS’s Project Monkey Island Team helped Myrtha repair her roof and scrubbed mold and mildew from the ceilings and walls so they could put a fresh coat of paint inside her rental home. PMI was also able to supply her with a new stove and mattresses. Born in Verde Mar, Humacao, Doña Carmen, 69, has lived in Punta Santiago for 41+ years. Neighbor to the CPRC facility, she used to sell candy to the students of the Francisco Isern Jimenez Elementary School (currently the new CPRC facility) from 1986 to 2014 when the school closed. 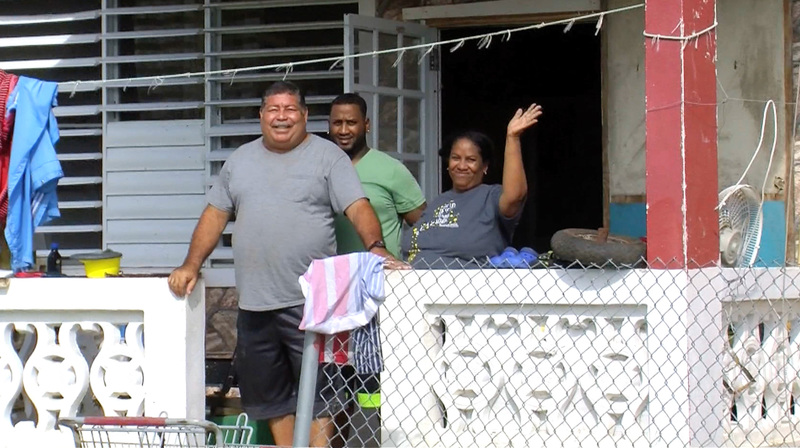 During Hurricane Maria, the storm surge filled Doña Carmen’s home with sea water. As the water level began to rise above her chest, she climbed on her washing machine to survive. Although the winds ripped off the roof of her patio, the main structure of her home remained intact. Unfortunately, she lost everything inside. 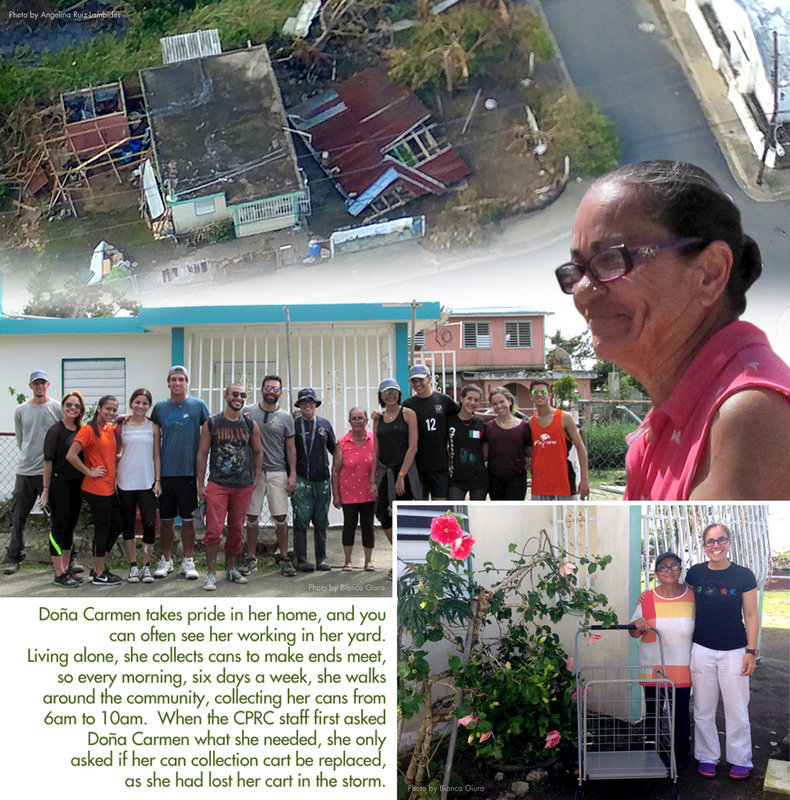 The CPRC and IPS’s Project Monkey Island Team was able to help by replacing her refrigerator, supplied new items such as a pantry for safe storage, a table and chair set, and plenty of paint so a local group of volunteers could paint her home inside and out! Don Alfonso, a 79 year old recent widower, had been living without a roof or walls since September 20th. In addition to providing food and water, the CPRC covered his house multiple times with blue tarps to protect him from the elements. His first night without risk of getting rained on was December 30th. In addition to the new roof, our team was able to frame and cover the outer walls. They also rewired the home and installed a new electrical box and light fixtures. 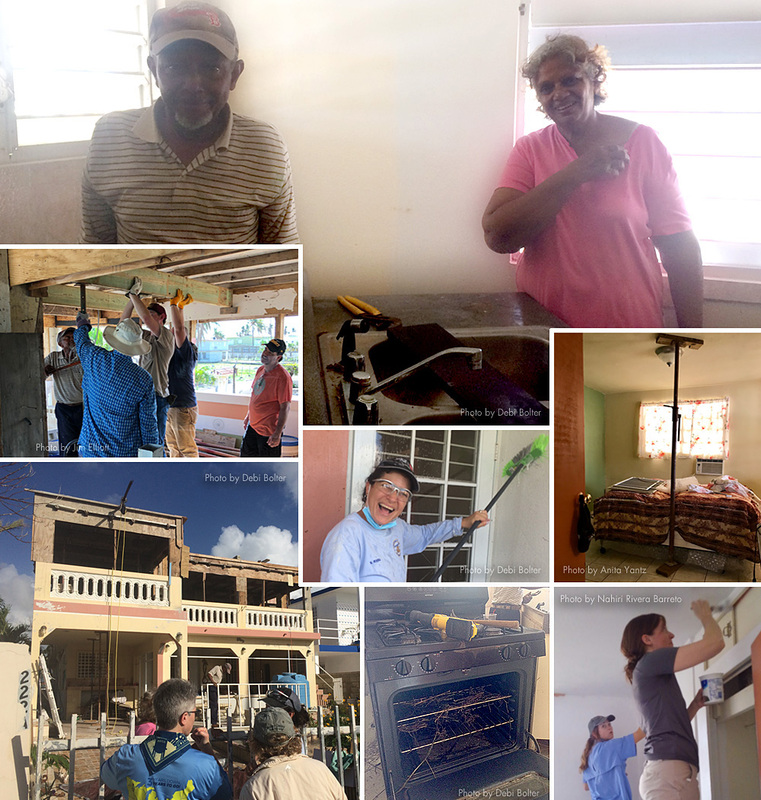 After our team departed, Don Alfonso climbed up his new ladder, opened up a new can of paint, and painted his newly rebuilt home. His windows will be arriving soon so he decided to paint around those areas. The team hopes to complete the interior in April.